The biggest new feature is LIFXshows, which will let you create light shows with your bulbs (up to 100 different bulbs at the moment). Currently it may be a bit difficult to create a new show, but there are some examples included. Another new feature is "Whites", which allows you to select different whites for your bulbs. The naming convention may look strange to some, as LIFXtend allows you to select a "Kelvin Temperature" for your bulbs. 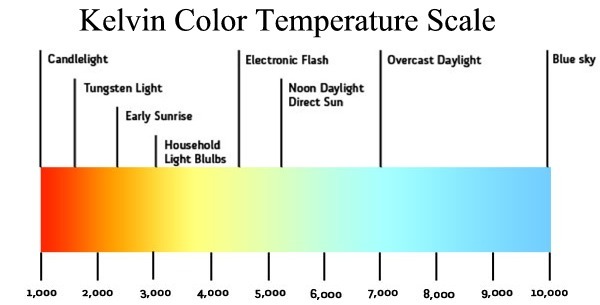 The range of the LIFX bulbs is currently from 3000 kelvin up to 8000 kelvin. I recommend 6500 kelvin near your computer monitor, as most monitors are (should be) calibrated to 6500 kelvin. Please check out the included readme for more information concerning the features of LIFXtend. LIFXshow will not save your show when you exit LIFXtend. The pause button does not work. You may have to set your resolution manually on high DPI screens for AmbientLIFX to work. After using whites, the bulbs react very slowly if you want to use colors. After about ten seconds the bulbs react normally again. Great! Thanks a lot Nate. Great work on Kelvin and LIFXshows Nate. Using your LIFXshows text file, I created a basic Red/Green Christmas theme. It could easily be changed to make it team colours etc. Here it is if anyone else wants to try it out. There were no changes in version 0.5 concerning the network. Maybe you need to click on "discover" once more.